A newly-elected Democratic senator in Republican-dominated Alabama said his party needs to counter a perception around the country that Democrats "don't listen" to voters. Democratic Sen. Doug Jones, who won an upset victory against Republican Roy Moore in a Senate special election in December, was asked by ABC News Chief Anchor George Stephanopoulos on "This Week" Sunday what message he has for his party in this year's midterm elections. "I think the message that I had in my race, and I think Conor Lamb had in his race [in Pennsylvania], I think Governor Northam had in Virginia, is you're going to have to talk directly to people, and you have to talk about issues that mean very much to them on a daily basis." Democratic Senatorial candidate Doug Jones speaks during a rally in Birmingham, Ala., Dec. 9, 2017. 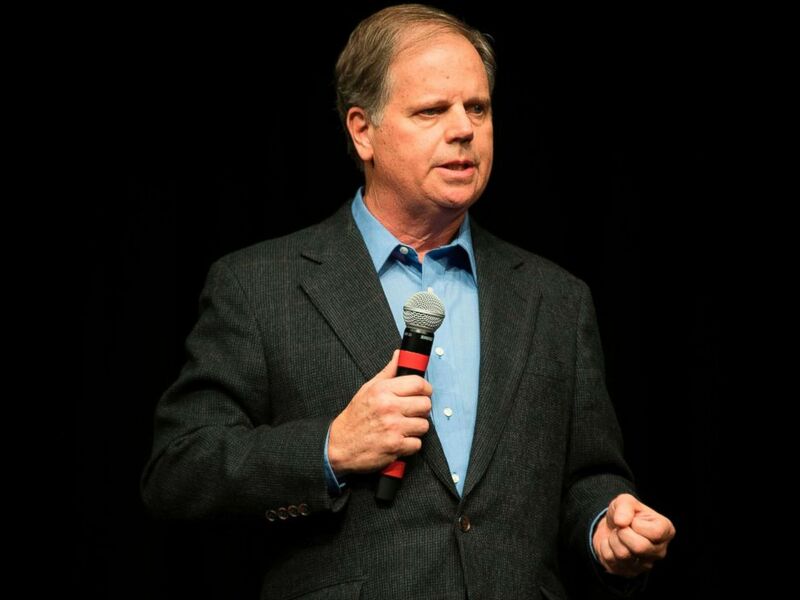 "It's not just talking, you have to listen," said Jones, a former federal prosecutor who is the first Democrat to win a Senate race in Alabama in 25 years. "I think that has been one of the biggest problems that the Democrats have had over the years is that there's a perception that we just don't hear, that we do the things that we want to do and we don't hear and we don't listen." 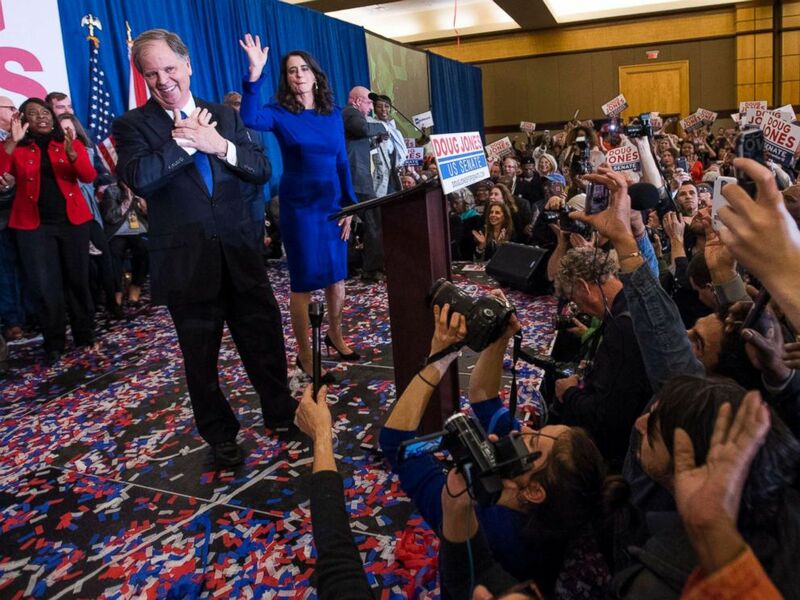 Senate candidate Doug Jones and his wife Louise greet supporters as he claims victory at his watch party in Birmingham, Ala., Dec. 12, 2017. Asked by Stephanopoulos about divisions in the Democratic Party between its more progressive and moderate wings during the primary season, Jones said "there's some truth" to the notion of such intraparty differences, but added that Republicans are also divided. Jones said the key is for Democrats to hold an open primary process and then to unify behind whoever wins each primary to become the party's nominee. "The challenge for Democrats is to make sure that we have those open primaries, that we contest those primaries the way anybody with passion wants to do it," the senator said. "But at the end of the day, we rally around, because we've got a common goal, and the common goal is [to serve] ... people of this country, the people in our respective districts and states." The red-state Democrat, who last week in a Senate floor speech said, “You can't simply demonize the NRA and pro-gun groups,” was asked on “This Week” what his party’s message should be on guns. “The fact of the matter is, in order to legislate, in order to do things and get things done, you've got to put some of the far-right, the far-left rhetoric aside,” he said.